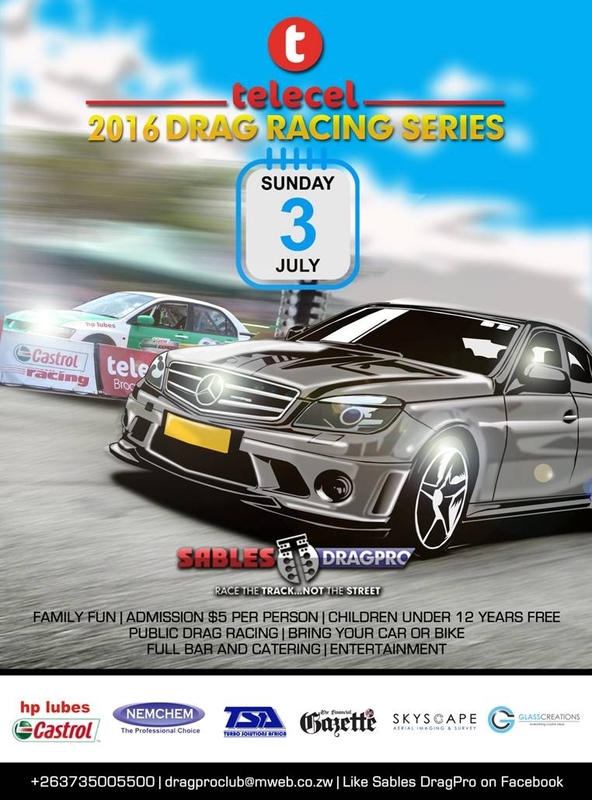 Sables/Dragpro welcomes back all Race Fans and Competitors to the Telecel 2016 Drag Racing Series. 13 Classes open to all makes and models of cars and motorcycles, from standard road vehicles to highly modified performance vehicles. Public Drag Racing is open to members of the public for ¼ mile timed, unlimited runs at the regular price of $5 (* excluding compulsory personal accident insurance). Register on the day up until 2.30 pm. Prizes and trophies awarded to the top 3 placed competitors in each of the 13 classes. Full bar and catering. Entertainment for the kids. Gates open 10.30 am. Admission $5 per person (children under 12 years free). So go ahead, tell someone…………………….